Win a trip to San Francisco’s Chinatown! ENTER SWEEPSTAKES HERE – Williams-Sonoma Sweepstakes page. ENTRY LIMIT – Each participant may enter only one time during the Promotion Period. 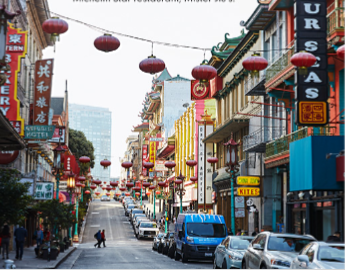 ELIGIBILITY – The 2018 Williams Sonoma Win a Trip to San Francisco’s Chinatown Sweepstakes is open only to legal residents of the fifty (50) United States (and the District of Columbia) who are at least eighteen (18) years old at the time of entry. SWEEPSTAKES ENTRY PERIOD – The Sweepstakes begins on December 26, 2018 at 12:00 a.m. United States Eastern Time (“ET”) and ends on February 15, 2018 at 11:59 p.m. ET. PRIZES – ONE (1) GRAND PRIZE Available: Subject to verification of eligibility and compliance with these Official Rules, and prize package, as described in Exhibit A attached to these Official Rules. Approximate Retail Value (“ARV”): $3,000 USD. Price is based on two travelers, single room, double occupancy.